To undertake the first steps in identifying, surveying and understanding the key features of pre-forestry land use change by surveying local sites and collating archive material. These were exhibited in the 'Digs and Discoveries' exhibition at Kilmartin Museum which ran till the end of 2010. The Dalriada Project area has a unique diversity of historic features, spanning thousands of years of human occupation. These include prehistoric burial chambers, cup and ring marks, standing stones, forts and duns, hut circles, medieval or later abandoned settlements. Since the post war period much of the Mid Argyll landscape, particularly south of the canal, has been afforested. Evidence of previous land use such as settlements, duns, field systems, rigs and furrows and stone walls, is hidden under these plantations. As afforestation and habitat improvements continue, there is also a need to identify, survey, understand and make accessible key archaeological features in this landscape. This project has built on the current understanding of the historical and archaeological heritage of the area and the recorded data will help to fill gaps in knowledge and research. By providing better and more easily accessed information on specific features and the cultural landscape, public understanding will be increased and this will lead to a greater recognition of the need to conserve and protect the rich historical heritage of the area. 20 volunteers recruited and trained to take part in survey work. 3 training days organised and run for volunteers. 3 walk over surveys of approximately 50 ha carried out. Up to 5 archaeological digs carried out. Up to 5 sites consolidated and public access facilitated. Relevant findings incorporated into interpretative materials. 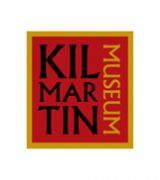 Lead Partner: Kilmartin House Museum. 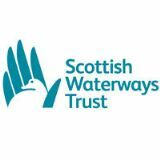 Other Partners include: Forestry Commission Scotland, NHASMA, Historic Scotland, Royal Commission on the Ancient and Historic Monuments of Scotland. The archaeological work has produced significant finds and helped in our understanding of this important aspect of our heritage. The 'Digs and Discoveries Exhibition' ran until 21 December 2010 at Kilmartin House Museum. Full details of the surveys and results can be found on the Dalriada Project Archaeology page on the Kilmartin Museum website. There is now a team of trained and highly motivated volunteers who having carried out these excavations and surveys continue to undertake pioneering archaeological survey work as a legacy of the Dalriada Project.